1911-1914 Front Floorboards. 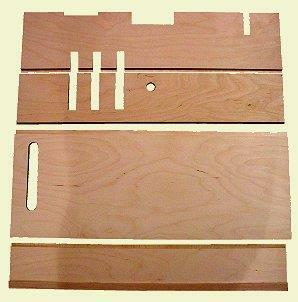 This set consists of the #1 and #2 boards (which contain the pedal openings), the #3 floor board (which is the main floor board) and the #4 floor board which is fixed to the body at the base of the seat riser. The #4 floor board has the 3/4" x 3/4" raised piece against the seat riser. Our Quality reproduction floor boards are manufactured to fit exactly like the originals. 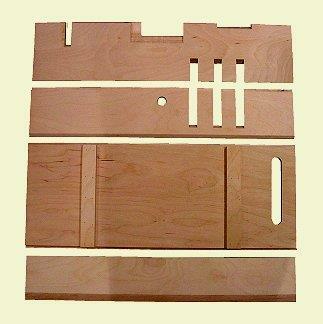 These plywood floorboards offer a less expensive alternative to the original hardwood versions.They are are made of furniture grade 5/8 birch plywood and are dimensionally the same as the originals.